In Grenada, life revolves around the ocean – so why shouldn’t its art? 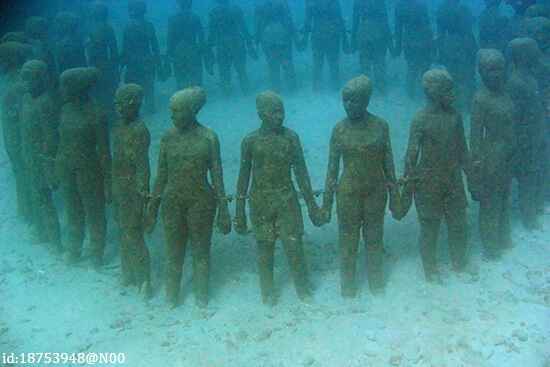 In Molinere Bay you’ll find an underwater gathering of 65 human figures – sculptures holding hands, working, sleeping… A rather eerie sight when you encounter them unexpectedly. But this is more than art: it’s a fish-rich, coral-laden artificial reef. “It'll take between 10 and 80 years for hard coral to form, but I've already seen initial traces of brain coral on some of the statues,” says its creator Jason de Caires Taylor. Take a look for yourself on a guided snorkelling or dive trip. St Lucia’s dense tropical rainforest is just begging to be explored – but if you haven’t got the energy to navigate its wilds, you can whizz and whoop through its treetops instead. 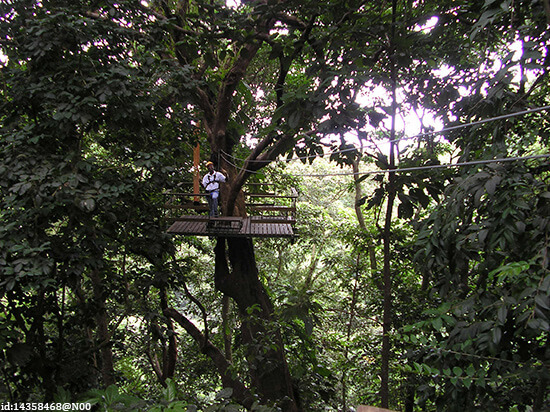 Treetop Adventure Park boasts 12 zip lines (including the island’s highest and longest), and there’s a mini course for kids too. When you’ve finished embracing your inner Tarzan, you’ll find hiking trails, mountain bike routes and the island’s biggest waterfall all within easy reach. 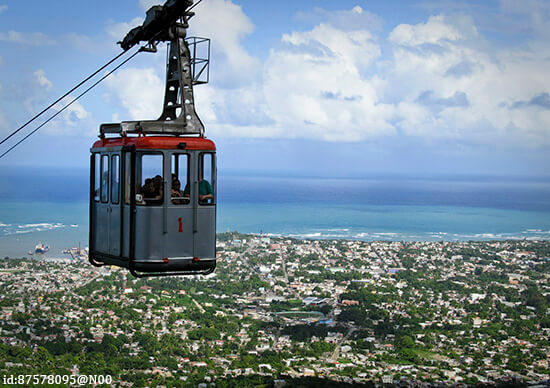 Rise early to catch the cable car from Puerto Plata to the top of Pico Isabel de Torres – a 793m peak that bestows bird’s eye views of Dominican’s lush hills and flawlessly turquoise coast. At the top you’ll find botanical gardens (nice spot for a picnic), a mini Christ the Redeemer statue (not as big as its Brazilian cousin), and a cluster of overpriced souvenir stalls. Need to work off a few rum punches? It’s possible to walk up and down the mountain, although you’ll need to hire a guide to help navigate the 4.3-mile route to the top. Cocoa trees flourish in the Caribbean’s hot, humid and hilly terrain – and these paradise islands produce some of the world’s best chocolate. If you’re a discerning chocoholic, head to Tobago Cocoa Estate, an eco-conscious chocolate plantation that’s staffed by passionate locals. Learn about cocoa’s journey from bean to bar, and take a tour of the plantation led by women who work there. 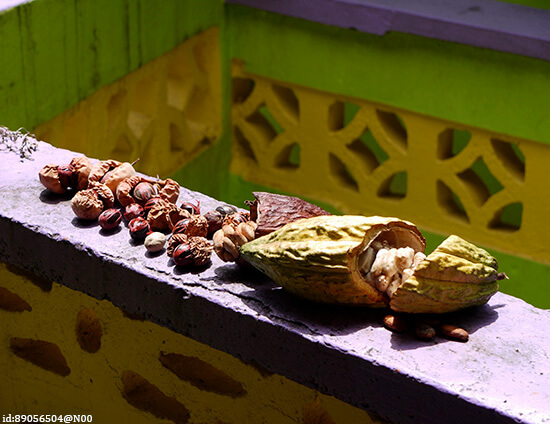 You can meander through the estate, nibble a raw cocoa bean (it’s an acquired taste), and gorge on the finished product. Perfect for souvenir shopping. Nobody knows quite how the pigs of Big Major Cay reached the island. Were they dropped off by sailors? Marooned in a shipwreck? Or simply let loose as a tourist attraction? Whatever their provenance, these piggies are damn cute. Take a boat out to Big Major Cay to meet the porcine crowd – you’ll likely find them paddling in crystal-clear waters, or wallowing on the sugar-white sands. They’re odd sunbathing companions, but you’ll be won over by their snuffling snouts – just remember to keep an eye on your sandwiches. The beaches of Mexico’s east coast are a scuba paradise, but in-the-know divers head slightly inland, to the cenotes of the Yucatan Peninsula. 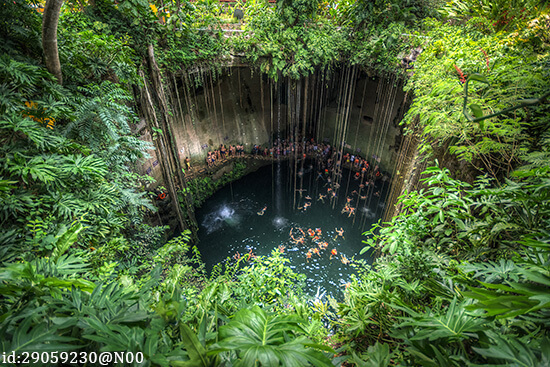 Cenotes (pronounced sen-oh-tays) are fresh-water-filled sinkholes, formed by the gradual erosion of the limestone rocks – they’re like mini natural swimming pools in the middle of nowhere. Open-air cenotes offer magical diving opportunities: you’ll float through crystal-clear water into eerie caverns and clouds of tiny fish, while sunlight streams down into the depths. The surrounding rocks and tangled jungle vines make excellent diving platforms too. Rum punch runs in Jamaicans’ veins – and by the end of your holiday it will probably run in yours too. So make sure you’re sipping the good stuff: we’re talking high-grade, oak barrel-aged, smooth-as-a-silk-negligée blends – the kind of tipple you don’t need to disguise with cola. Enter Appleton Estate, which boasts no fewer than five ravishing rums – including one that’s been aged for over 50 years (making it the world’s oldest aged rum). But what does it taste like? “Powerful oak infused with rich, luxurious vanilla and layered with cinnamon, maple, and orange peel,” they say. 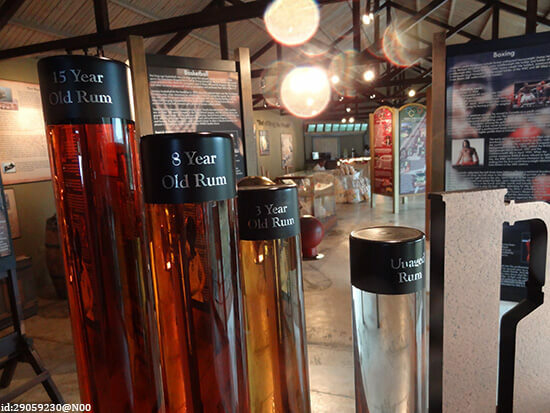 Book a plantation tour and tasting experience to sample it for yourself. Bottoms up! Escape to the Caribbean with our hand-picked range of 4 and 5-star hotel packages. Speak to one of our Travel Experts about booking your perfect beach holiday adventure today.